Makati City has long been the country’s leading business and financial hub, serving as home to 40 percent of the country’s top 1000 multinational and local corporations. The city boasts of a highly-developed transport and communications infrastructure, quality shopping centers, state-of-the-art hospitals, and premiere residential areas. 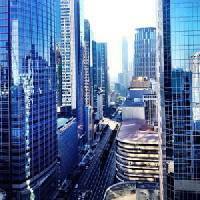 All these advantages have made Makati the location of choice for new businesses. We have previously covered the steps on registering your Philippine-based corporation with national- and municipal-level agencies. 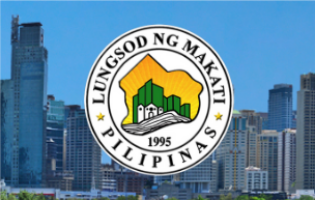 In this article, we will highlight the specific, up-to-date requirements and steps for business registration in Makati City. a. Secure application form from receiving or processing clerks. Be informed of the requirements and processes. Note: If your business is considered “Subject for Inspection,” you will have to proceed to the Inspection Division. b. Have the BPO check your requirements and accept your application. Officials will evaluate and assess taxes, fees, and charges. The BPO Chief will then sign the billing statement and application form to indicate approval. a. With your approved application form and billing statement at hand, pay the corresponding fees and tax at designated windows. a. Claim your Business Permit, Sanitary Permit, and Fire Safety Inspection Notice. Note: Inspections will be conducted after release of Business Permit by the Bureau of Fire Protection (BFP), Health Department, and Engineering Office. Want to save even more time? Let the experts at DAYANAN Business Consultancy do the work for you! We’ll be happy to guide you through the ins and outs of the Philippine business registration process! The Bureau of Internal Revenue (BIR) is the Philippines’ primary taxation agency. It is authorized to assess and collect taxes from all income-generating entities in the country. Before any business can commence operations, they are required to register with the BIR or be penalized in accordance with Philippine law. • BIR Form 2000, for documentary stamp tax. • your contract of lease. You may also be asked for a sketch of your head office location. Note that in some RDOs, you will need to bring your original business permit plus a photocopy of the same, while in others, even just the official receipts (OR) of the payments you made for your business permit application will suffice. 3. Pay the annual registration fee. This is a fixed cost of ₱500 every year. You will also need to pay for documentary stamps; the BIR will advise you on the exact amount you will need to pay for that. In some places, RDOs will accept these payments onsite; in others, you will be asked to make the payments at the nearest authorized agent bank (AAB). Each RDO has a list of its own AABs – but not all AABs actually do accept BIR payments. 4. Attend the BIR seminar. Some days after you submit your application requirements, your Certificate of Registration (COR) will be ready for pickup. Before the RDO will release this certificate, you or your authorized representative will need to attend a 1–2 hour seminar about your tax duties, the different kinds of taxes you need to file and pay, and the various tax deadlines. CORs will be given out after the seminar. 5. Register your accounting system. With your COR on hand, you are practically done registering your business. The next step is to register your accounting system using the BIR Form 1900 (Application for Authority to Use Computerized Accounting System or Components thereof/Loose-Leaf Books of Accounts). Or if you will be using manual books of accounts fill out BIR Form 1905. 6. Get your receipts and invoices printed. This involves another application process, and it should be done promptly because you need to begin issuing ORs and sales invoices (SI) within 30 calendar days from the date of registration indicated in your COR. To get BIR-authorized ORs and SIs, you need to apply for an Authority to Print receipts using the BIR Form 1906. Submit this to your RDO along with a clear sample of the receipts you intend to get printed. ORs and SIs must be printed by BIR-authorized printers only. These receipts will be valid for a period five years from the date of printing, after which any unused ones will need to be destroyed and you will need to obtain a new authority to print. The BIR registration is the last step in legalizing your corporation’s business presence in the Philippines. Your next steps – registrations with the Department of Labor and Employment, etc. – will come when you are hiring your first employees. 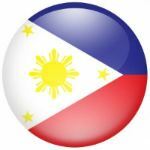 Dès l’obtention de votre Certificat d’Incorporation ou de votre Licence d’Opérer en tant que Succursale ou Bureau de Représentation aux Philippines émis par la SEC des Philippines, la compagnie doit s’enregistrer auprès du Bureau du Trésor Public (BIR), obtenir une Autorisation Barangay et le Permis du Maire. Le BIR attribue à votre entreprise un Numéro d’Identification de Contribuable, l’autorisation d’imprimer des reçus officiels et d’enregistrer vos livres et programmes de comptes. Cette autorisation est obtenue du Barangay où votre compagnie est située. La procédure et l’ordre peut varier d’une ville à l’autre. Il sera nécessaire de se rendre au BIR, Barangay et à l’Hôtel de Ville plusieurs fois pour obtenir tous les permis et autorisations requis. Un Barangay, aussi connu sous son ancien nom espagnol, le barrio, est la division administrative la plus petite aux Philippines et est le terme philippine pour un village ou quartier. Barangays sont encore subdivisé en secteurs plus petits appelés Puroks (une Zone en français). Un sitio est une enclave territoriale à l’intérieur d’un Barangay, particulièrement dans les zones rurales. Les municipalités et les villes sont composés de Barangays. Souvent Barangay est abrégé comme “Brgy”. Ou “Bgy”. Au 31 décembre 2006, on comptait un total de 41,995 Barangays dans l’ensemble des Philippines.